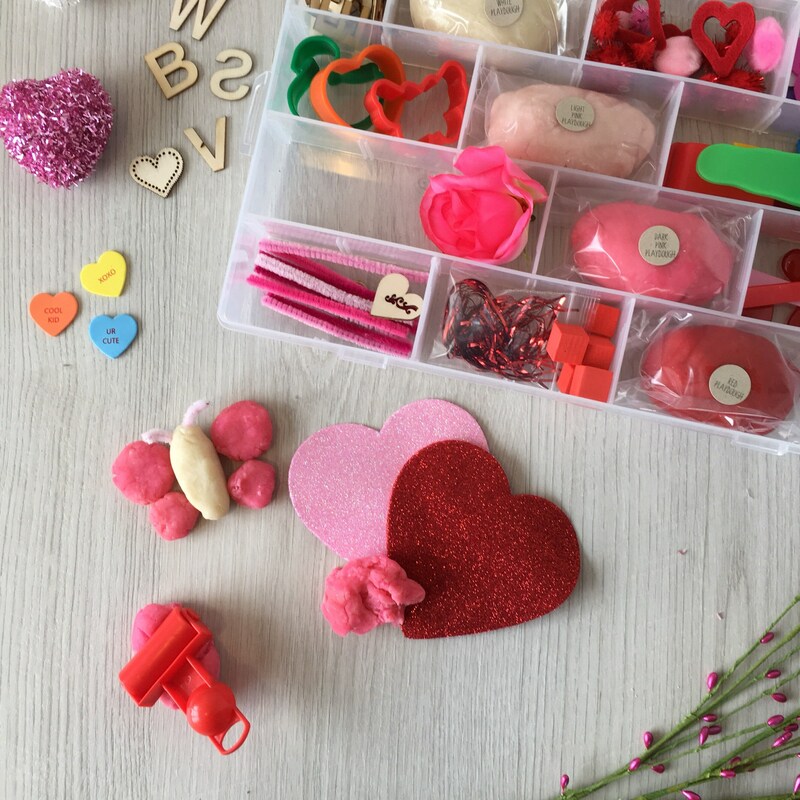 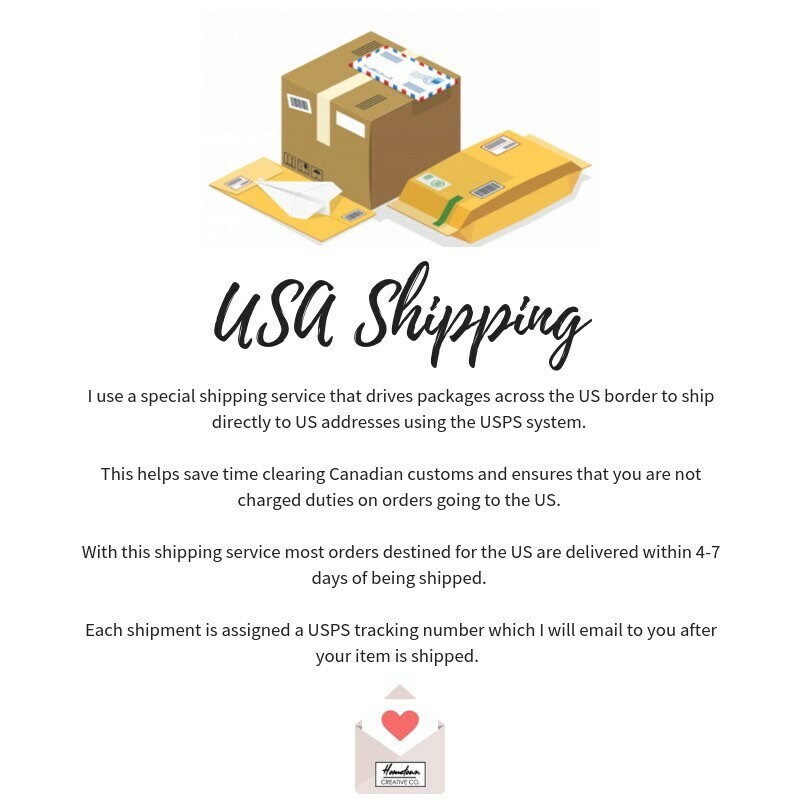 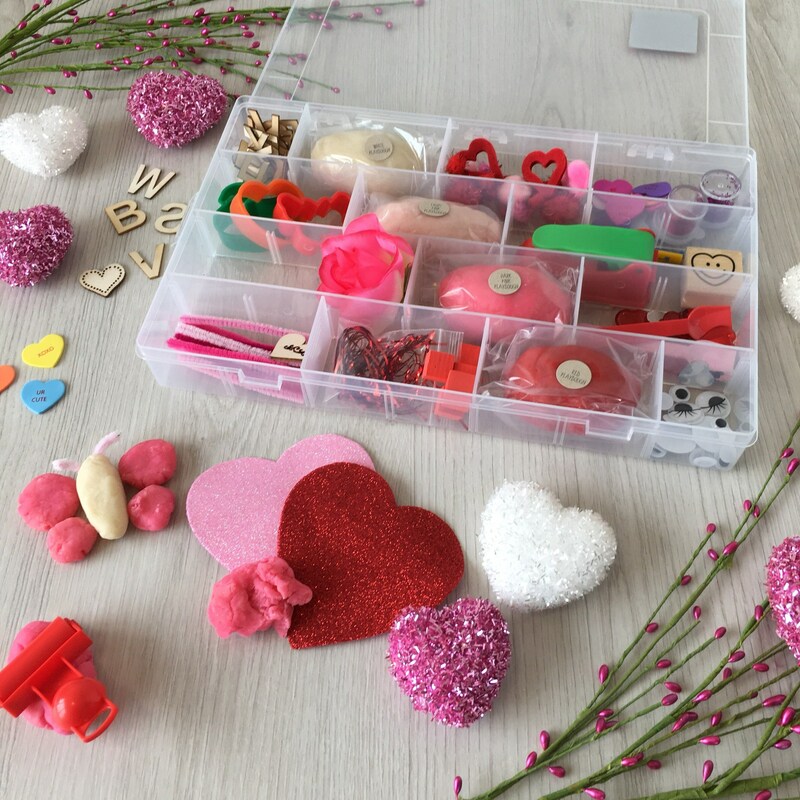 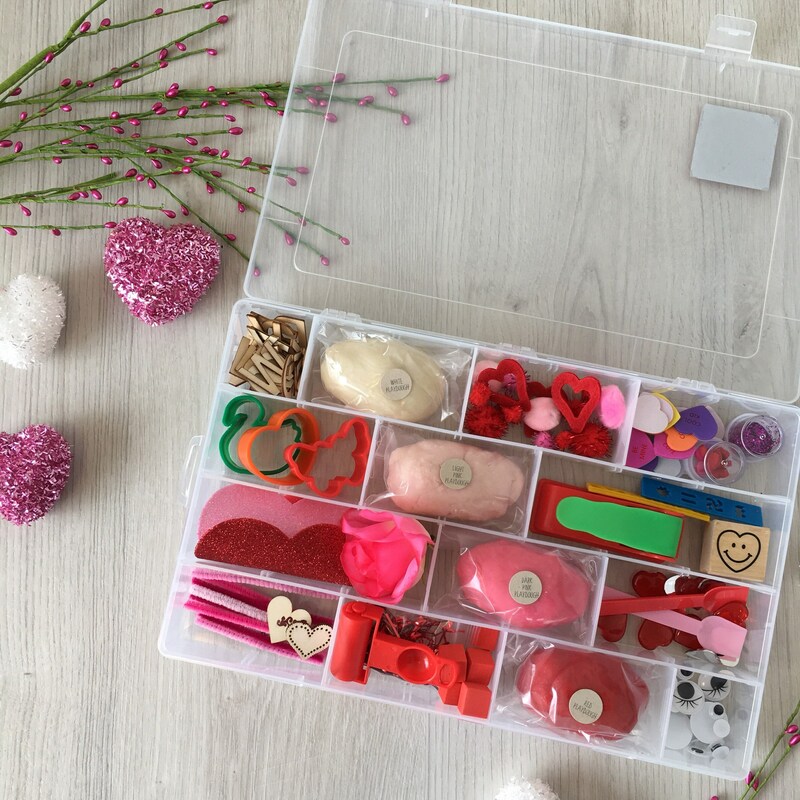 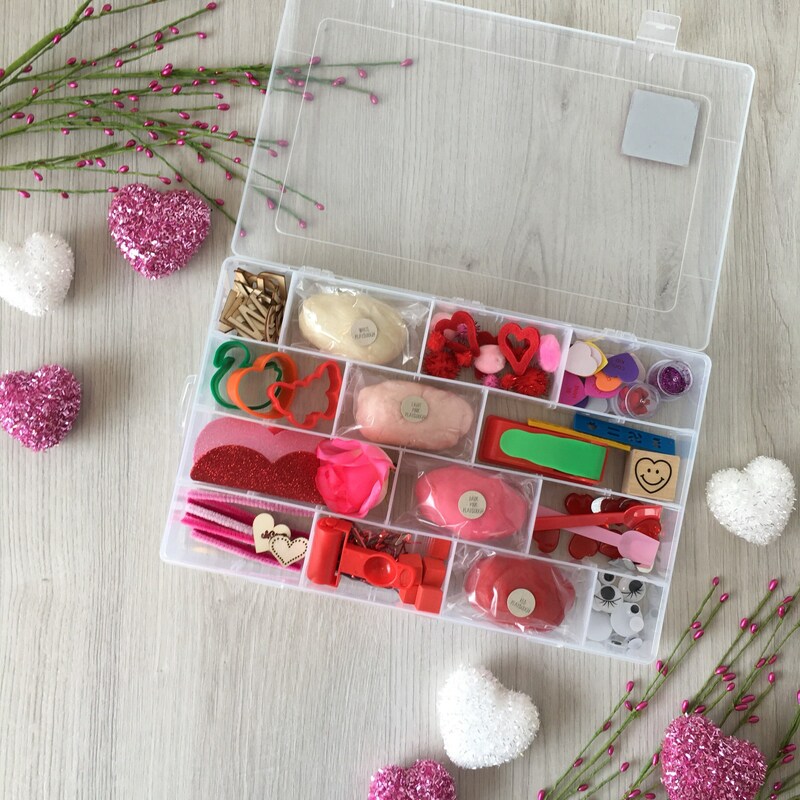 Valentine's Kids Sensory Play activity kit - includes (4) colors of handmade Play Dough and accessories - inspire creativity! 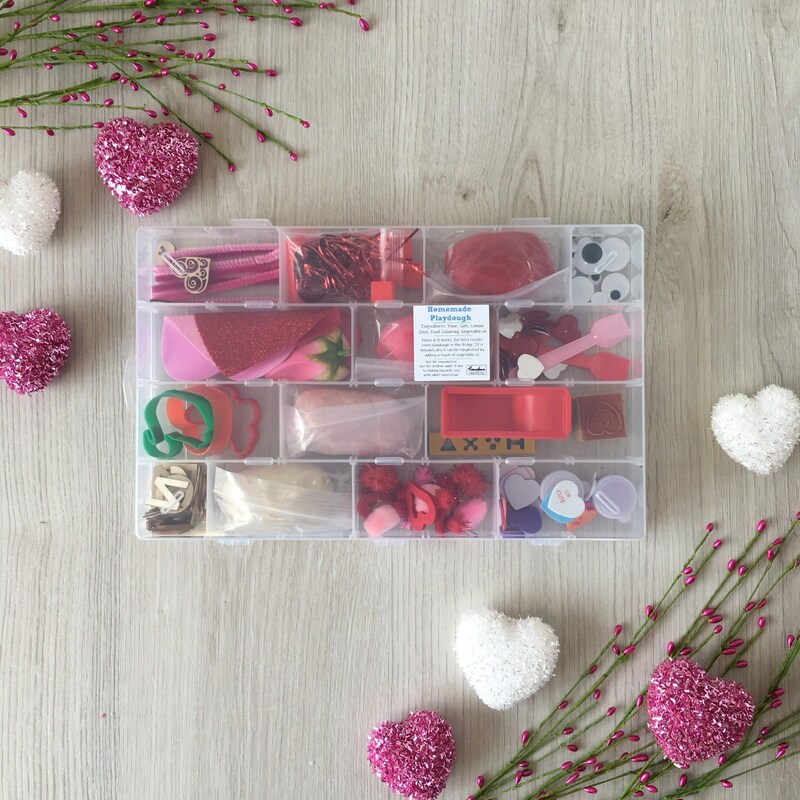 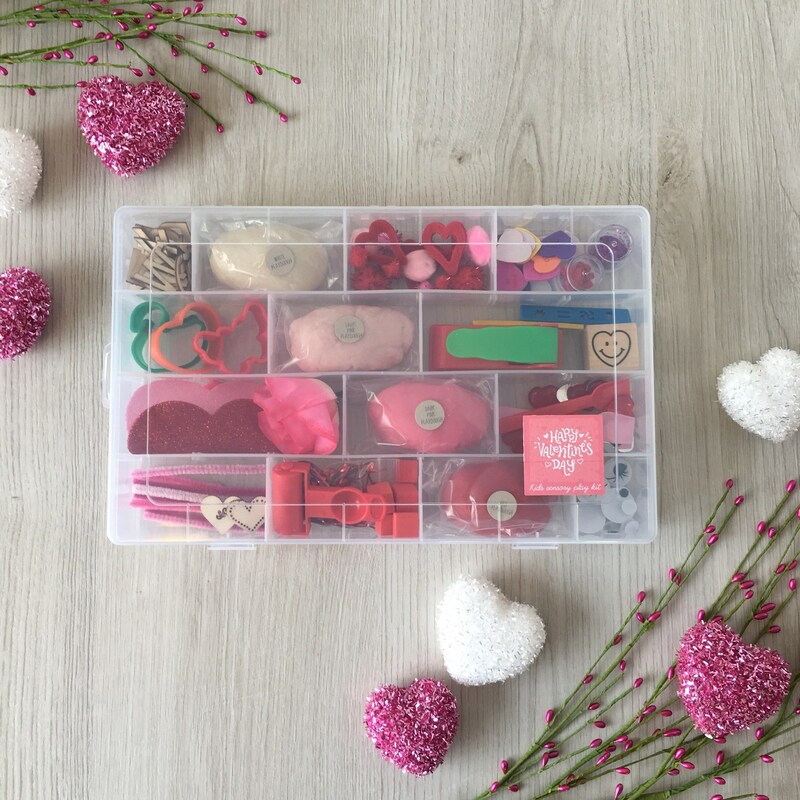 Handmade Valentines Sensory Play activity set. 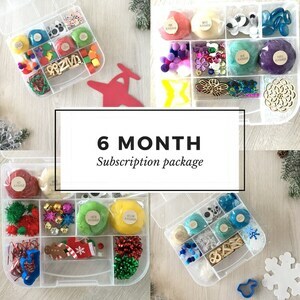 Includes (4) Colors of handmade non-toxic play dough, (3) cookie cutters to cut shapes out of their dough, a roller to roll out the dough, several foam shapes to decorate, a press to form shapes out of the dough, confetti to decorate, Pom poms, google eyes and various other decorations for kids to explore with. 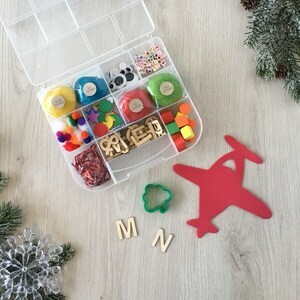 Play dough in this set comes in 4 colors; light pink, dark pink, red and white. 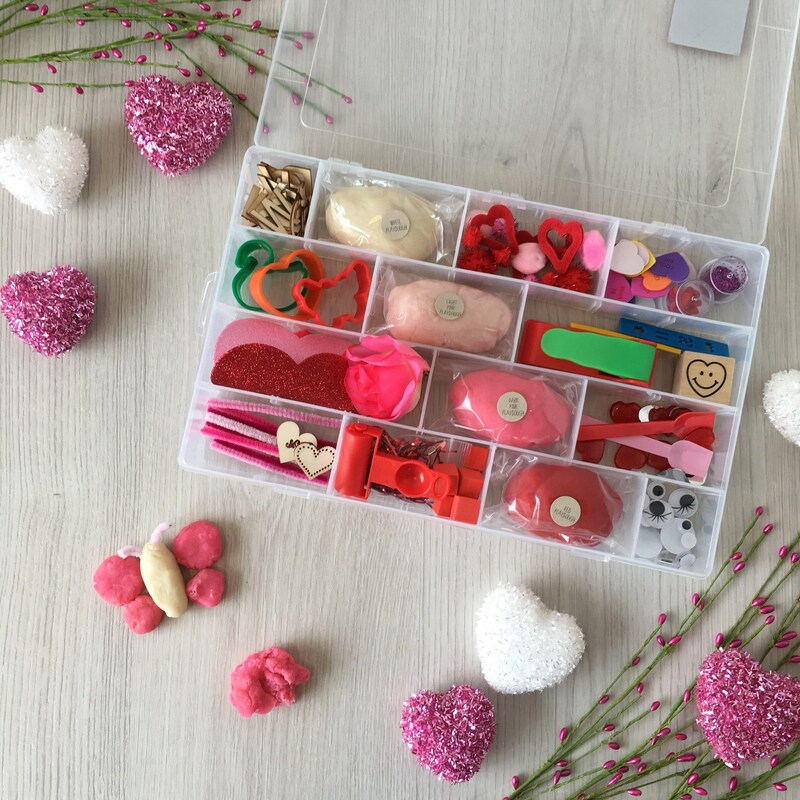 Each with sparkles mixed into the dough. 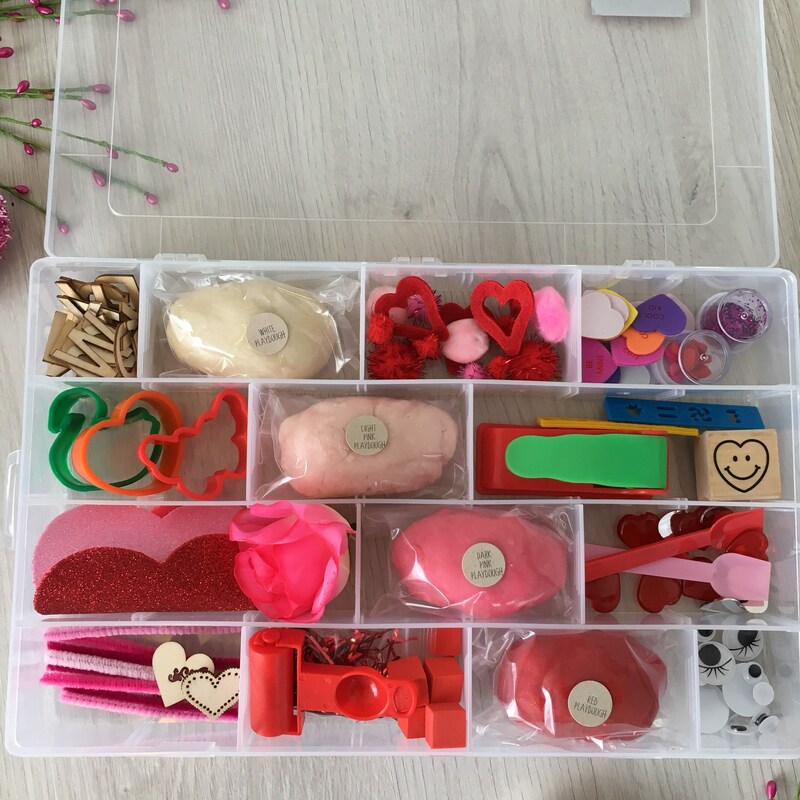 Kit measures approx. 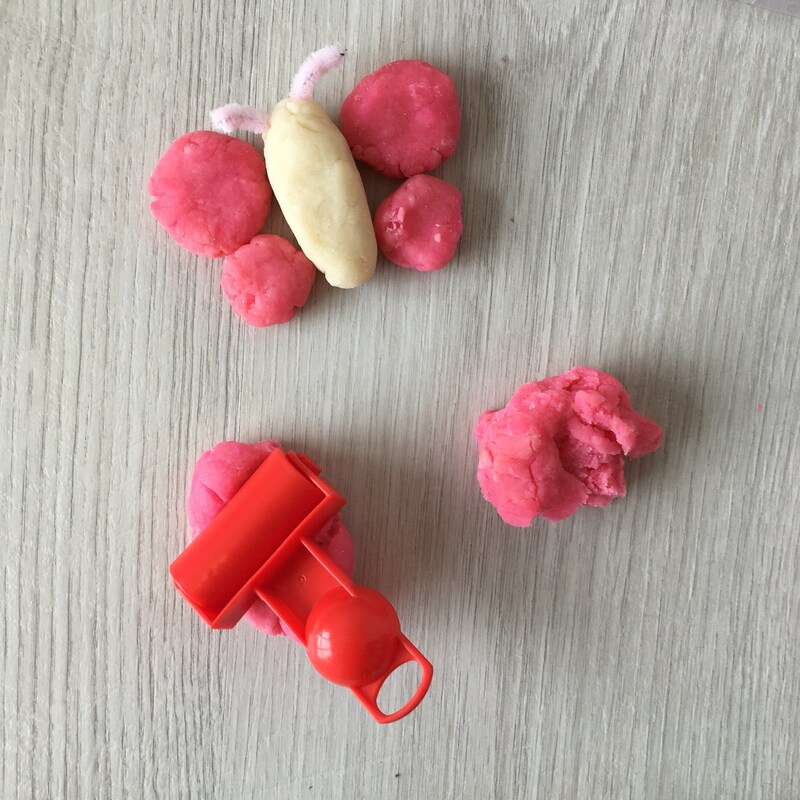 13.75" x 8.5" x 1.75"
Each sensory play set includes (4) colours of handmade non-toxic play dough including light pink, dark pink, red and white with sparkles mixed into the dough.